This is photo #17 (of 50) in a series about our life in Brazil. Drinking water is not free here in Brazil (even in restaurants). 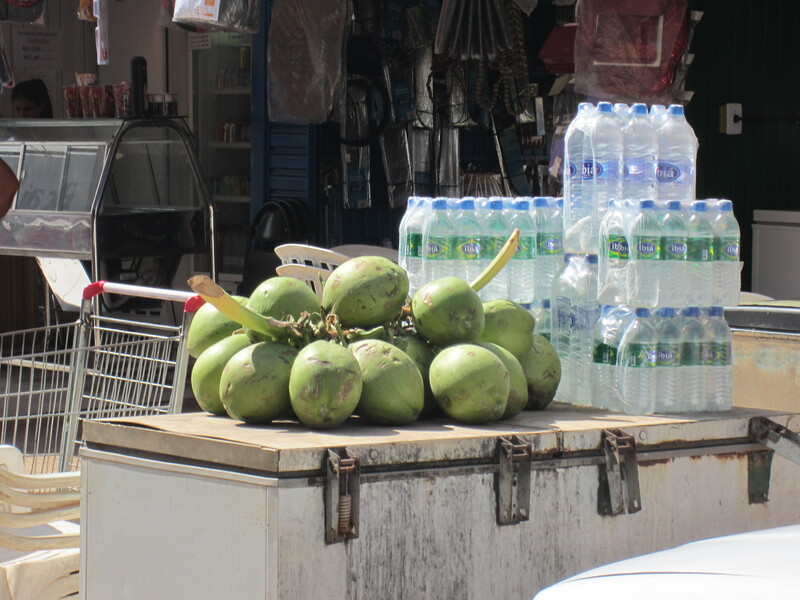 So if you want to get re-hydrated you can buy bottled water or nature’s better option: coconut water. For about a dollar the seller will take a coconut out of his cooler, hack off the top with a machete, and stick in a straw. Can you install water filters in your home so that you can drink the water? This would be cheaper than buying bottled water all the time, wouldn’t it? Although I love coconut water, there isn’t a whole lot in once coconut, is there? You’d have to drink a whole lot of them to keep properly hydrated. Wow, coconut water–I can buy that from my food co-op. Probably costs less where you are. It’s supposed to be very healthful. Yummy and healthy! I enjoy these snapshots!